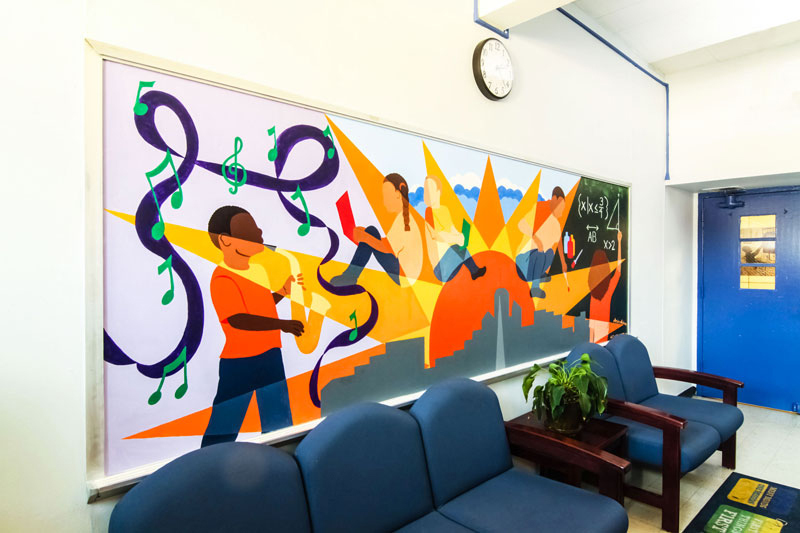 Changing The Way Schools Look and Feel. Our Mission: To create “Kid-Smart” environments that foster creativity, contribution, and academic excellence. Our Philosophy: The places children learn in shape them, and help them shape the world | Space, light, and movement are integral to wellness and success. | Every child deserves beauty and inspiration in their daily life. Overview: Studies show physical design can affect academic performance by as much as 25% and that children struggle in cluttered spaces as their surroundings compete with their ability to process information, causing anxiety and lower test scores. * Our holistic, values-based approach to design, facilities, and site improvements creates places where children can feel inspired to discover the gifts they will use to make meaningful contributions to the world. Instead of adjusting individual elements our Learning Environment Optimization (LEO) method takes a holistic approach that applies learnings on the link between environment and education to overall design and its effects on students. What we loved about working with Magalie and her team is her ability to suggest things we would never thing of! Magalie excels at looking at a space and seeing whether it will work well for its intended purpose. We had a tricky area that needed to accommodate several conflicting functions. She selected and purchased pieces - at very reasonalble prices - making sure they came togehter and that each job could be done properly. This made a huge difference in our everyday enjoyment of the space. She also took the stress and worry out of execution by installing quickly and in an organized fashion. 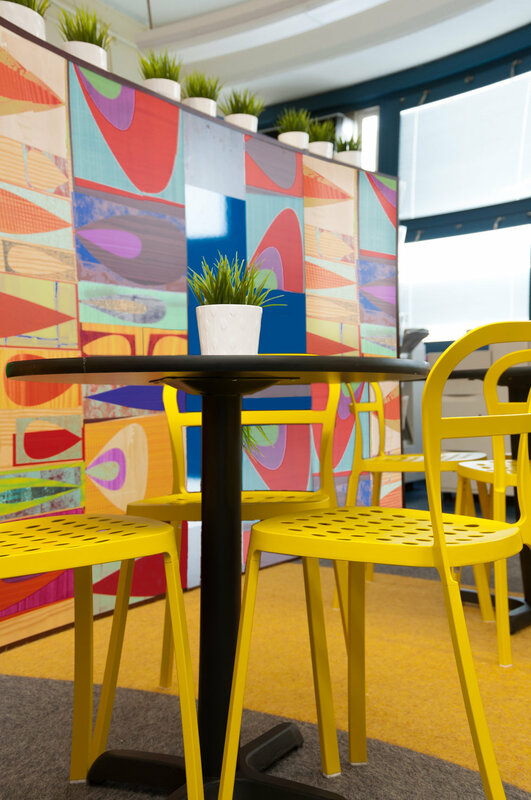 We love our new space and would definitely recommend Consciously Design to our colleagues. Kid-Smart Spaces' expertise was invaluable. Magalie walked into our school and pointed out the pros and cons to assist us in making decisions. She anticipated our functional needs and quickly recommended suppliers and other experts in her network where needed. We continue to get high praise for our spaces from our parents and others who visit the school, who are impressed with both the look and functionality of our spaces. Magalie helped us convert our physical space to be aligned with our vision and values. Magalie's work at Apollo Charter School has been amazing. The school looks amazing, transformed to a space that embodies the heart and soul of Apollo. 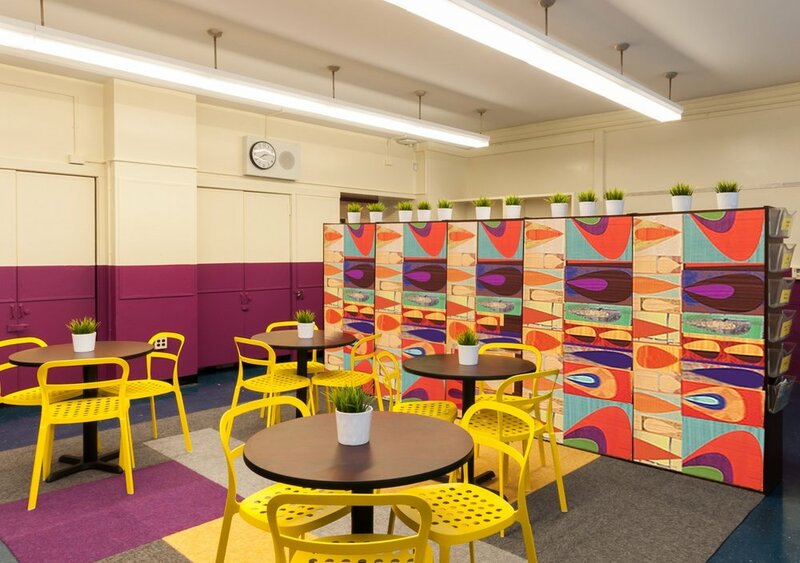 I love all the details from the murals and bright photos to the Apollo café's mirrors and café tables and pops of color in the teachers' workroom. Apollo is such a productive and fun (!!!) place to live and work. From our very first consultation I knew I could trust Magalie to give our spaces new life. FOUNDATIONS Design Group brought an incredible sense of creativity to the project along with structure and direction, never losing site of our needs, budget and goals. Magalie consistently communicated her plans and delivered efficient spaces that are incredibly beautiful to learn and work in. It was a partnership in the truest sense of the word. Magalie transformed my school into a beacon of learning. Magalie evaluated the current state of my school space, researched the mission of our organization, and asked questions to understand the true ideas I wanted to convey. She exhibited a unique and strong ability to truly connect easily with various vendors, contractors, laborers and clients. She was able to guide and direct the planning process with confidence and poise. With faculty, staff and student returning soon, she evoked great prioritization and creative problem solving to get the job done beyond my dreams. I vividly remember walking through the finished school with her. 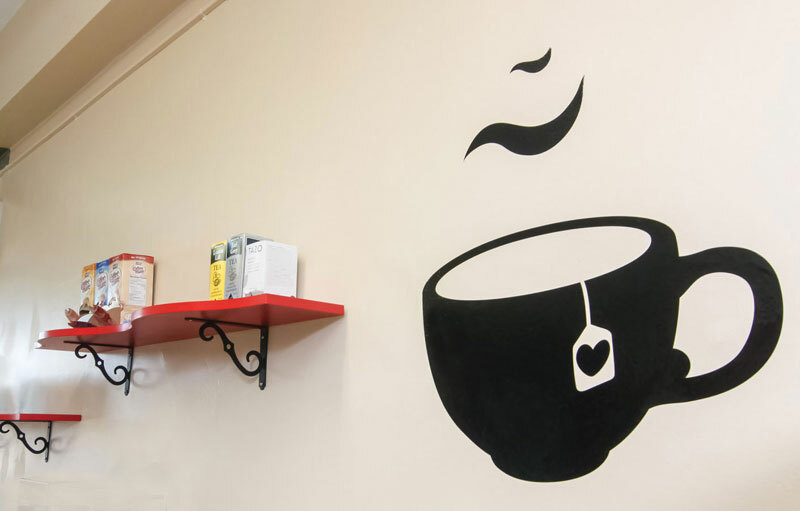 Magalie's impeccable taste shined through in each shared space throughout the building. My goal was to have a school that everyone would be proud of, but I never imagined teachers inviting their families in to see the spaces in person. Nor did I imagine seeing parents taking pictures of our hallways during school visits. With an ambitious timeline, Magalie's true leadership skills emerged. Her style came through and translated to extreme attention to detail and uncommon aesthetic sensibility. Put simply, she knows what looks good. She is truly one of the most sincere, dedicated, and motivated people that I have worked with! Kid-Smart Spaces did a great job with the interior design one of our schools. 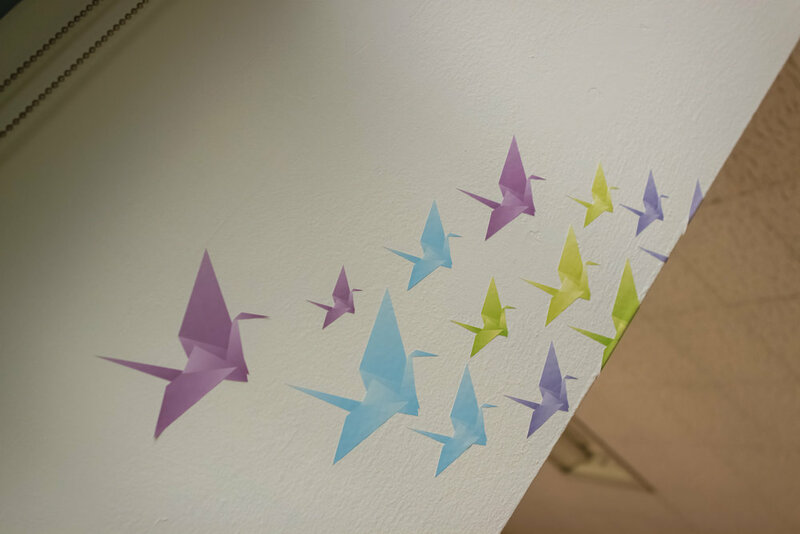 Magalie's work was a breath of fresh air and turned a previously dreary space into one that the teachers love spending time in. The project was also cost conscious and Magalie was a pleasure to work with.